Adroit Surgical, LLC. is a privately funded medical device company. 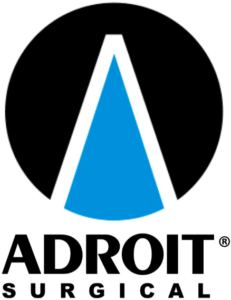 Adroit has developed a patented method for securing the difficult airway in emergency situations. The first two introductory products are disrupting the current standard of care, making intubation faster, safer and less expensive to address a large void in airway management. The Vie Scope® offers Paramedics and Doctors the unique ability to handle all adult intubations using only one laryngoscope. The direct line of sight view for the user will lower patient complications as well as saving time and money. Savvik members get 10% off list price. Contact Kris Bordnick, Director EMS Sales, 904-362-2245, today!